Budget Friendly Hotel with Spacious and Well-Lit Rooms. OYO 8240 Golden Park Palam Vihar is a budget-friendly property located in Palam Vihar Rd, Near Blossom School, Gurugram. The nearest metro station is Huda metro station.The room is done up in a cream shade which counterparts the solid color textured walls. The rooms are spacious and well-lit.Each room is equipped with free Wi-Fi, AC, TV, closet,and geyser. 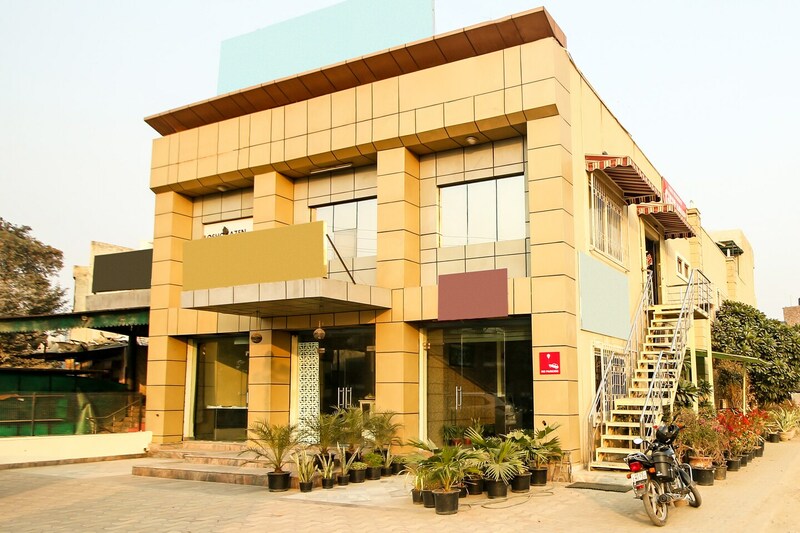 The hotel offers a power backup, card payment facility and laundry facility.The popular places to grab a bite nearby are Rawleaf, Aunty's Kitchen, Brumbacks, D N Snacks, and Cafe Ping Pong.